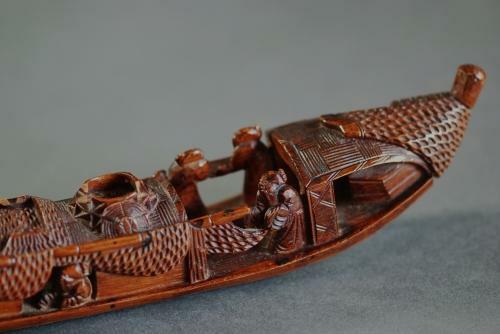 A late 19thc / early 20thc intracately & finely carved bamboo boat. This carving has a good patina & depicts fishermen & draped fishing nets. There is slight damage on a section of the net which can be seen in photograph 5.